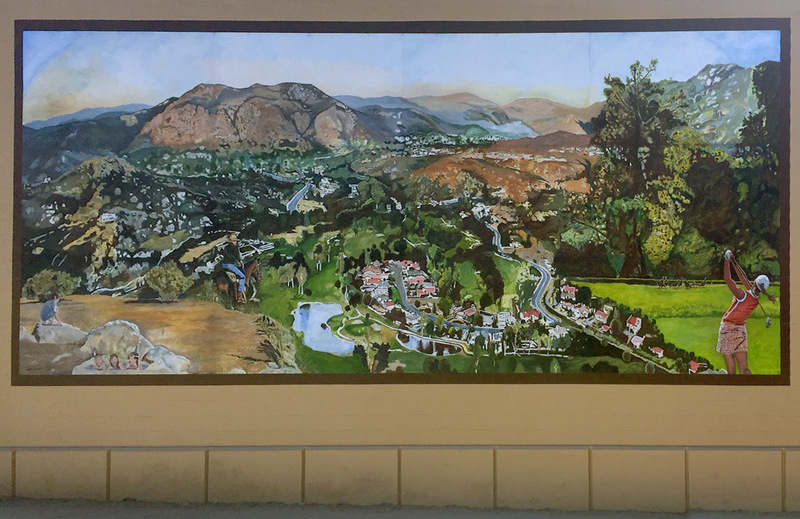 The Country Lifestyle Mural illustrates the many landmarks of Ramona and the San Diego Country Estates. In this collage, the artist incorporated the scenic mountainous terrain, residential areas, the hiking and horseback riding trails, and golfing opportunities. The artist, Bob Teague, studied art at San Diego State University with a focus on graphic design. Originally from Oxnard, he lives today with his wife in Chula Vista. He was one of two artists who painted the Historic Commerce Mural at 677 Main St., Ramona.